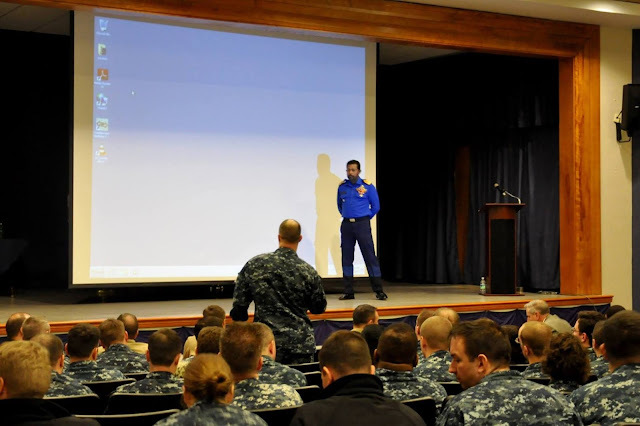 New Navy commander Vice Admiral Travis Sinniah says as a person who has fought for the country for 35 years, it will not be an easy task to make an American agent out of him. to the media after assuming duties as the 21st chief of the Sri Lanka Navy. The joint opposition has accused him to be an agent of the US. Sinniah left the Navy during the previous regime due to trouble and rejoined only after the present government took office. When asked as to why he had to leave, he said it was a thing of the past, and that a commission that inquired into the matter reinstated him. 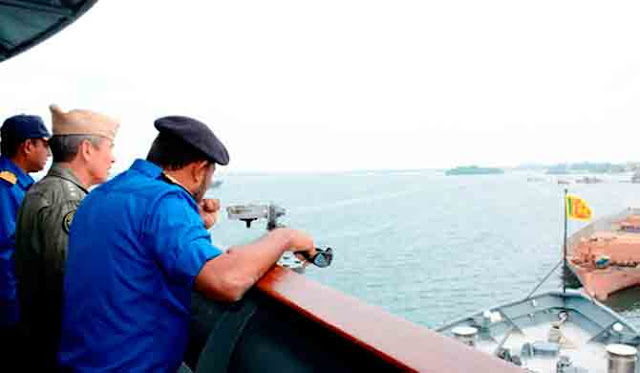 As the most senior Navy officer involved in operational duties during the war, he led the Navy to destroy the floating armouries of the LTTE. The new Navy chief also said that during the period he served in the US Pacific Command, his duties involved training, de-mining and other tasks that could develop the Sri Lankan military. He also said his name was never mentioned during operational duties due to the threats from the LTTE, and that there were many more like him whose names had not been mentioned although they had actively contributed to the war. When questioned about abductions and other accusations being leveled against the Navy, he said not even a hero had a right to commit crime. Even if someone is the best hero at the war, he would not be pardoned if found guilty by courts, said Sinniah. Wearing the uniform does not give anyone the right to commit murder, torture or any other crime, he stressed. Referring to the Avant Garde matter, he said a business that had been carried out successfully by the Navy had been given on a platter to Avant Garde, a small security firm at a time. Now, that duty is back with the Navy and the income goes to the government, he said. Countering allegations that the income has now come down, he said the Navy had only taken back its component of the operation, while entertainment, transport accommodation etc. are carried out by other companies.